It's the last day of #beautybrawl16 and if you're interested in what concealer everyone is currently talking about then use the hashtag over on Instagram and Twitter! I recently picked up this concealer in Superdrug because I'm always desperate of finding a concealer which will either cover my dark circles or cover any blemishes. I picked up the two lightest MUA Cover and Conceal shades and found the lightest shade is absolutely perfect for my under eyes! It's so brightening, creamy but not too thick! However, the second from lightest colour was far too dark for my skin tone and I'll probably find someone to give this too! I really love this concealer because it's not extreme coverage, but it's enough coverage to brighten my under eyes. It's creamy and easy to blend too and although I have smile wrinkles, the concealer doesn't sit inside the creases of my under eyes either which is incredible. Some concealers are so thick they just sit on top of your skin and make your creases look so much more! Apply a triangle underneath each eye and blend in either winter fingers by patting in, or pat using a beauty blender. I have found sometimes patting it in with my finger to begin with and then going in with a beauty blender is away of creating more coverage underneath my eyes! My under eye area looks absolutely incredible once I have applied this concealer, although I feel like I have slept about four hours every night, it looks like I have slept twelve. I have tested to see how long this concealer lasts too and after applying it first thing in the morning, it lasts up until 7pm when I take it off. It may last longer however I haven't tested this. One thing I really do not like about this concealer is how many shades there are. There's a perfect shade for underneath my eyes but the next shade is far too orangey, therefore I have nothing to cover my blemishes. However, I know if there were different shades for more pale people, this would be an amazing concealer to cover blemishes. 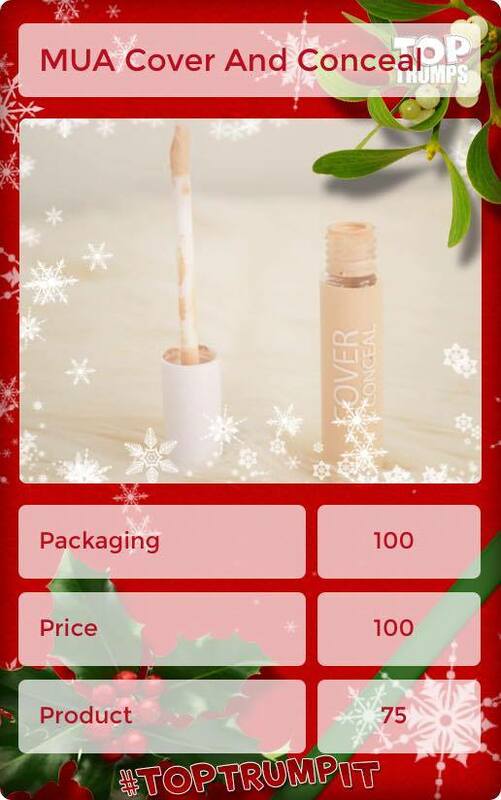 For only £1.50, this concealer is absolutely incredible. It's definitely worth buying if you are looking for a concealer which will brighten underneath your eyes. It's not as thick as the Collection lasting perfection concealer, however the coverage is just as great. It's an easy to blend concealer and it lasts all day! If you want to look like you have slept for twelve or more hours, definitely give this a go! Make sure to head over to Elaine's blog to see what she posted for the third day of the Bloggers Christmas Beauty Brawl!